Cost cannot be ignored when purchasing a leather computer chair.Leather furniture is best seen as an investment, as it will provide years of comfort and function in the home or office. 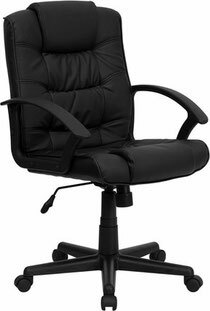 In today's market the cost of a leather computer chair can range from sixty-five to one thousand dollars. While a higher cost chair often indicates a higher quality product, all of the factors discussed above (style, color, comfort, etc.) should be considered when making a well-informed purchase. Many retailers of leather computer chairs allow customers to "test drive" their product. Take advantage of this option and check the warranty and return policies so if the chair is not a perfect fit, it can be brought back.